Hogbetsotso: celebration and songs of the Ewe migration story. African oral poems, epics and tales, but also proverbs, prayers, incantations and a variety of other oral genres have been collected and written down for the purposes of linguistic, literary and anthropological analyses. As a result, a large amount of ‘oral texts’ in African languages (and their translation in European languages) is nowadays available for research and teaching. However, these ‘oral texts’ are written transcriptions, and, in printed form, the characteristic orality given by the ‘live’ performance of oral genres fades away. What gets lost in the written form are the intonation and the gestures, along with the eventual musical accompaniment, the interactions between performer and audience, the clothing and scenography, and the context of the performance. A number of such elements can be recorded on video. Video recording can indeed support the documentation as well as the study and presentation of oral aspects that we miss when dealing exclusively with the written transcription and translation of oral languages and oral literary genres. This series responds to the increasing need for new electronic tools that can integrate the written and audio-visual materials for research, teaching and learning of African languages and oral literatures. 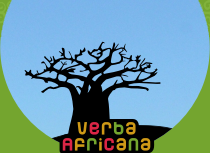 The materials presented by Verba Africana have received various and often contested generalizing labels, such as Oral Literature, Verbal Arts, Oral History, and Folklore. As the Verba Africana series springs from the generous cooperation of researchers specialized in different (inter-) disciplinary fields, we have opted for a pluralism of definitions. In the series, the terms Oral Literature and Verbal Arts are used interchangeably. This is an educational series. Any quotations or fragments cited from Verba Africana should indicate author(s), storyteller(s), and the series’ name.